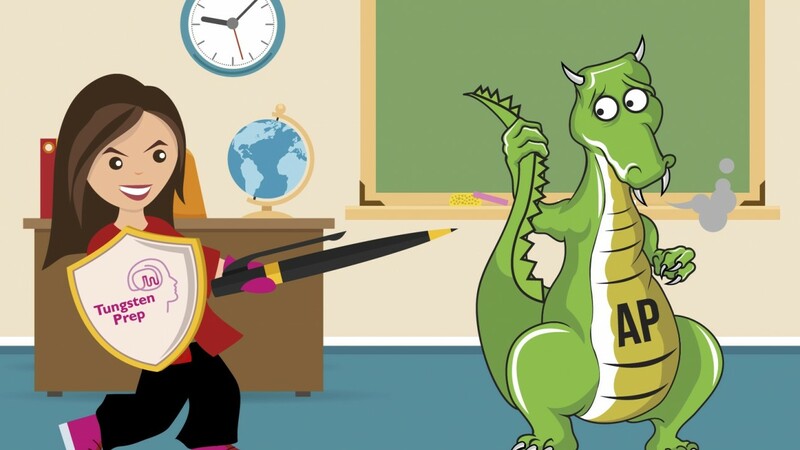 When the Free Response Dragon is breathing fire at you, just take a breath, plot out your attack, and charge! DBQ. LEQ. FRQ. Whatever the alphabet soup, nothing sends a shiver down students’ spines quite like the essay portion of the Advanced Placement (AP) exams. The History, English and social science APs all require multiple essay questions, and while they go by many different names, practice using three simple strategies can help take the stress out of exam day. U.S. History may seem infinite, and your backpack probably succumbed to the weight of all those English novels. But in truth, no AP curriculum is limitless and the test-makers are human, too. They simply can’t reinvent the wheel each year. The College Board website offers bonafide AP exams going back two decades (or, until 1973 for the true U.S. History buff!). And while we wouldn’t encourage looking that far back, a review of the previous five years of essay questions is the best way to identify trends and test your ability to answer a wide range of questions. For example, did you know that the creation of the U.S. Constitution has been the topic of one of the free response questions in seven of the last ten years? You would be pleasantly surprised how many of your essays can be mentally written long before you step into the exam room. Choose two great works of literature that really speak to you, whether traditional or contemporary. Make sure they are rich in character development and themes. Novels and plays from Shakespeare to Toni Morrison have all worked for past students. Learn them inside and out, understanding their characters, conflicts, momentous scenes and use of language. Then, test those works against a dozen possible long essay questions: coming of age, family dynamics, political strife, jealousy, and love are all recurrent themes on the exam. Ask yourself: could I apply these works if faced with any range of these questions? Treat the long essay as an open-book test and you’ll head into the exam with the confidence to face any theme the AP throws at you. A similar strategy exists for students facing a History exam. According to the College Board, AP U.S. History can be encapsulated in seven themes across nine historical periods. Khan Academy has created the most comprehensive one-page study guide we’ve ever seen, which allows you to test your ability to handle essay questions for any given theme during any time period. Our veteran AP History tutor J.J. Harkema always reminds his students that writing without first creating a structure is like kicking over a bookcase. There may be some great information there, but your reader won’t be able to make sense amidst the jumble. As you reach the essay, you will undoubtedly feel tired and pressed for time. But the worst thing you can do is panic and rush your thoughts onto paper. The AP prizes organization, a coherent thesis, and clear supporting evidence. In fact, the teachers who score your essays receive detailed instructions on how to identify and evaluate each of these qualities, so if they can’t find what they’re looking for, you will receive very low points. Spend a minimum of five minutes creating an outline. Remember that five paragraph essay you learned in middle school? That’s the ideal format for these essays. Create a compelling thesis statement, and don’t worry if that thesis evolves and deepens as you write; the graders know your time is limited. Identify three specific, discrete points you want to make and assign each one its own paragraph. Construct a straightforward topic sentence for each paragraph, and highlight at least two pieces of evidence (either from your knowledge of the subject or from the documents or texts available). Finally, don’t worry too much about a lengthy conclusion. One or two sentences is sufficient — the graders understand that by the time you reach the end, you may be short on time! During April and May, Tungsten Prep offers prep classes for all major AP courses. We all look forward to helping students master the format, content, and writing strategies needed to conquer the AP exam.